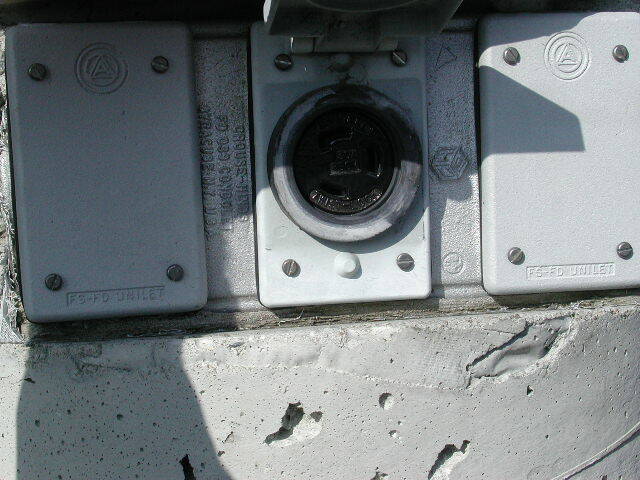 5/27/05, - charging is down as stations are being relocated - new locations not yet determined. -- Ed Thorpe. 2002-2-14: Bay Area Air Quality Management District, verified by Michael Schwabe. See "Further notes" below for additional details, including "I was there report" 3/6/02. 3/20/03: Additional EV outlet is a pseudo L6-30. It has the ground hook slot reversed, so cannot connect. Talked with facilities people, and apparently this has no power; was diverted for a kiosk. 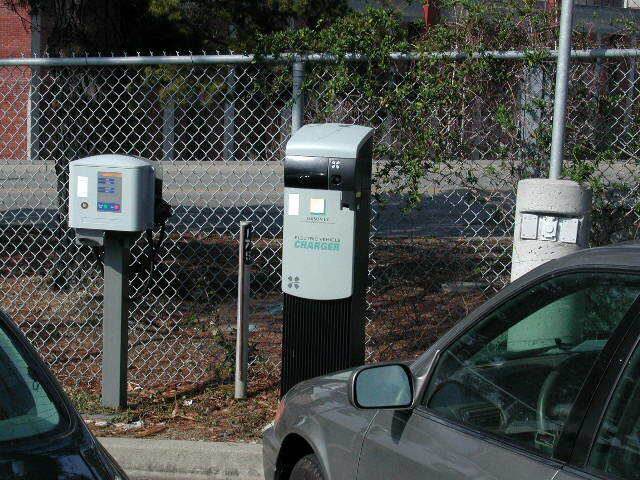 Provided them with a proper L6-30 recepticle and they are investigating providing proper power, even if they need to tap into other charging station and put in an A/B switch. Parking loosely enforced, but will ticket violators. Encountered 3 times when ICEd during month of Feb. Location is nice because Avcon cord can cover 3-4 parking spaces even though only one designated for EVs. Parking only free for single designated space (also noted on pavement). Adjacent space has parking meter, just like regular parking spaces. Actually only one designated space for EVs, with both Ind & Cond charging stations. Site photo by Michael Schwabe. Generated on Sunday, 1/30/2011, at 10:44:54 PM PT from evcnall.fp7. 5/27/08: Changed from OK to DOWN LOC. 9/1/03 updated comments, added rating.